Arnold Olson Associates offers the distinct advantage of in-depth knowledge and experience in all areas of fund development. When you establish a relationship with Arnold Olson Associates, you will benefit from decades of experience in annual giving, capital campaigns, planned giving, endowment development, data base management and donor cultivation – in short, virtually every aspect of a successful fund development program. That comprehensive knowledge and ability to see the big picture ensures that your project will be integrated into your overall efforts for consistency and long-term success. Each not-for-profit organization has its own strengths, challenges and circumstances. Based on that belief, our process begins with an in-depth discussion – listening, evaluating, and working with you to create a program that meets your individual needs. Arnold Olson Associates will then help you develop and implement the systems and skills to meet your goals today as well as take you the next step into the future. Helen B. Arnold, CFRE, is President of Arnold Olson Associates, a firm that provides fund development consulting services for nonprofit organizations. In addition, she is a principal of Clearly Compliant, a company that provides third party state registration services for nonprofits. An internationally Certified Fund Raising Executive, Helen has a 40+ year history, both as a volunteer and as a professional, in the nonprofit world. As a volunteer, Helen has served on 58 nonprofit boards in Chicago, New York, eastern Iowa and Las Vegas areas, from human service to educational, religious to governmental. 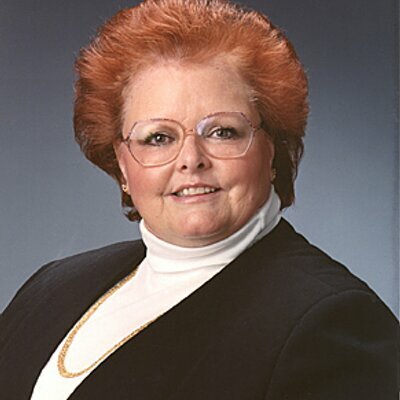 As a CFRE, Helen has served as faculty and speaker to audiences on a wide array subjects related to philanthropy, such as ethics, grant writing, board development, special events, annual/capital/endowment campaigns, “Why CFRE?”, First Course on Fundraising, Survey Course, CFRE Review Course, and the Essentials of Fundraising Course. She is a certified AFP Master Trainer, and has received the Certificate of Nonprofit Management from Iowa State University. Helen is a faculty member of the Charity Channel, and a contributing author to You and Your Nonprofit: Practical Advice and Tips from the CharityChannel Professional Community. 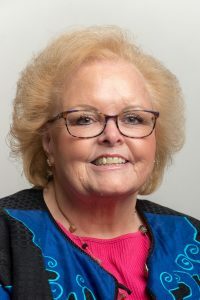 Helen is a member of the Association of Fund Raising Professionals, as well as Grant Professionals Association, the Eastern Iowa Planned Giving Council and the Partnership for Philanthropic Planning. She has received several honors recognizing her volunteer and professional achievements, including the Cedar Rapids Leadership for Five Seasons Community Trustee Award, the Cedar Rapids Daybreak Rotary Community Service Award, Variety-The Children’s Charity Sunshine Award, a Rotary International Paul Harris Fellowship, and was selected as the 2007 Outstanding Professional Fundraiser by the Eastern Iowa Chapter of Association of Fundraising Professionals. She is currently serving AFP International on the International Development Committee. Helen has received the 2007 Connectivity Award and a 2008 Silver Beaver Award from the Hawkeye Area Council, BSA. Arnold Olson Associates also calls upon the expertise of other team members through established relationships with a network of professionals. From strategic planning to market research, when specific needs arise these seasoned professionals will bring their expertise to your organization.